China is not wasting any time getting this deal going as they see the timing as crucial with geopolitical events heating up along with global economics. Excerpt "Now is just the right moment: Oil prices are low, supply exceeds demand and China is the largest consumer of oil." 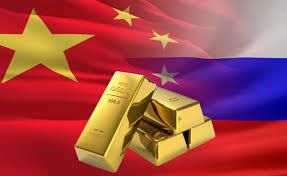 The Chinese scholar highlighted that given the instability in the global economy, the precious metal has taken on a new significance.